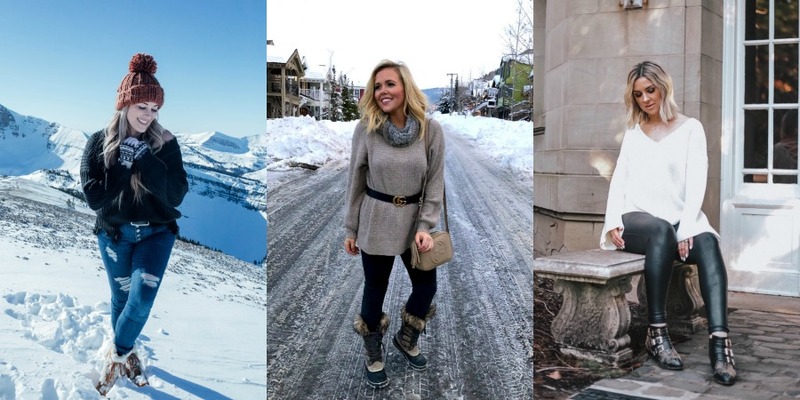 Who doesn’t love all of these different textures and styles? I have been loving all three and wear one of these on the daily. I even love mixing some of them to get a super chic and unique look. 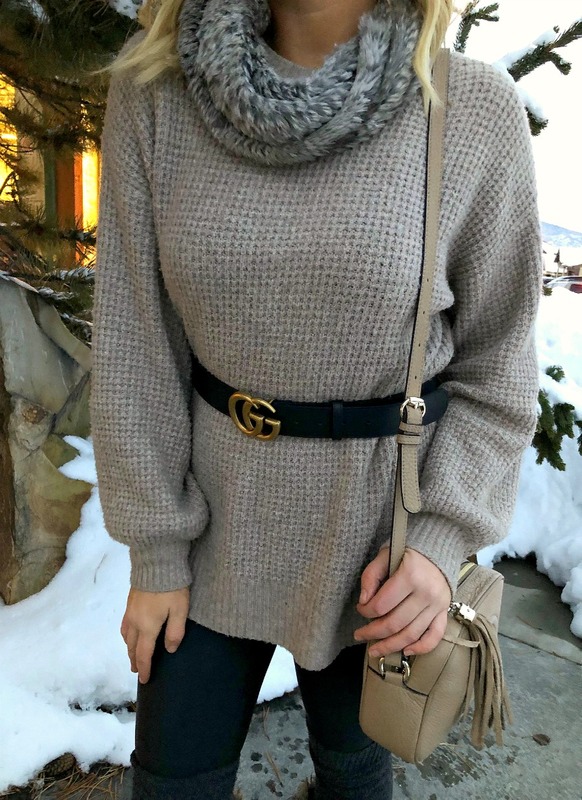 This last weekend we decided to stay up in Park City, and I started off the day by wearing my favorite Spanx leggings, a comfy knit sweater from American Eagle, and got lucky enough to borrow my mom’s belt! 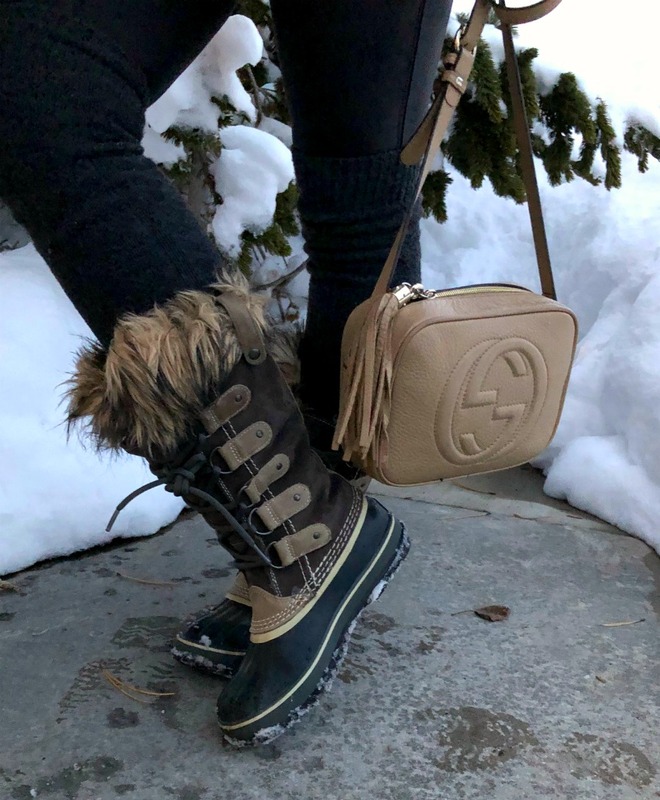 While I didn’t have any suede, I added extra texture through my fur scarf and sorel boots. What textures are you wearing this week? 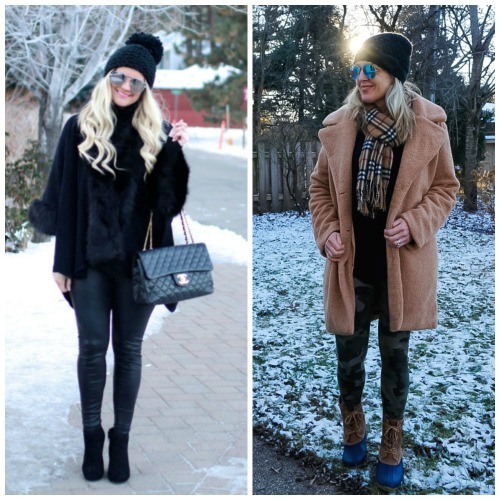 because we loved their Leggings from last week’s linkup! Shop Denim Mini Skirts, Black Swimsuit, Designer Gowns, Modest Dresses and more. Get this widget.